Last night I went out for a spin on the bike. It was a case of getting the legs moving rather than an evening doing the best bike ride in the world. 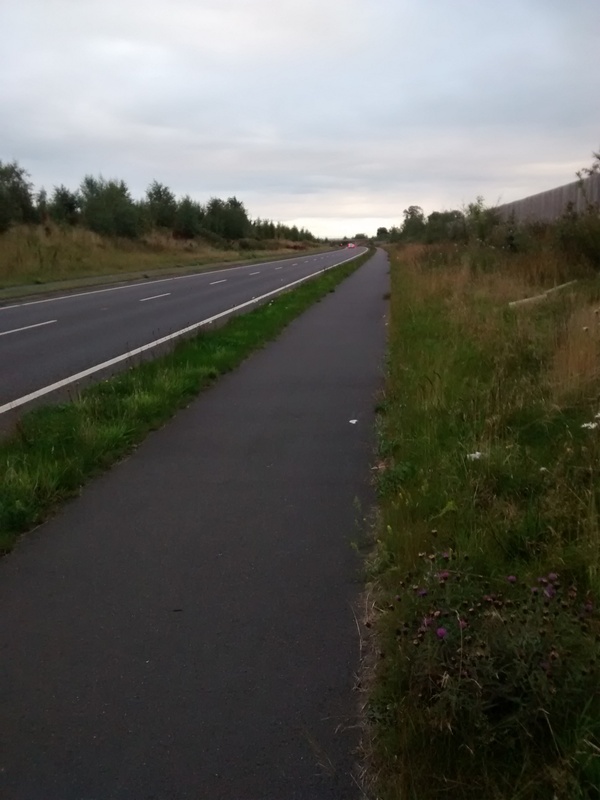 I went up and down the pedestrian lane on a bypass. It’s a 14.5km out and back loop, which took 40 mins. Uninspiring, but I moved and tried to go fairly quickly. Every session counts right now. Dark, empty and monotonous- not an evening for a brilliant bike ride. The nights are drawing in; so I had my lights on and a bright orange zip-up. Seriously, if you missed seeing me out and about, you’d need your eyes checking! The day before (Wednesday) I was at work and Mr Shespoke got on his mountain bike for a spin out after work, so I took the night off. I made the mistake of watching Bake Off which only made me feel hungry for cake.